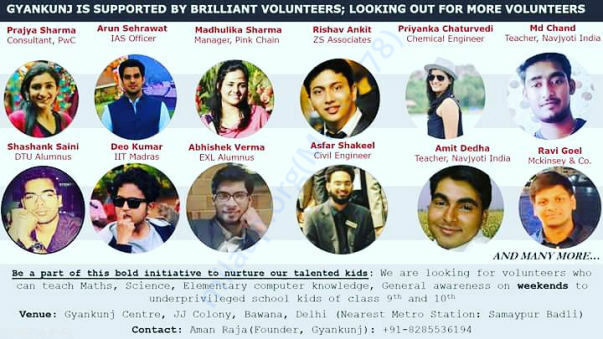 Help Gyankunj Provide Computer Education To Underprivileged Kids. "Bridging the gap between the learner and the learned takes tonnes of bold steps"
Back in 2016, we found out that it is not the lack of interest from slum school-going children but rather the lack of good teachers, that results in high drop out rates. Gyankunj originated with the objective of reducing drop out rates and providing high quality and concept oriented education to the underprivileged school children. Gyankunj is calling out all noble hearts out there to donate for the cause. We believe in legitimate usage of funds. All the funding through Milaap will be used for Gyankunj center's rent, educational trips for these children and computer systems. You all are invited to our Gyankunj centre in JJ Colony Bawana, B-472/473 New Delhi - 110039. Results have spoken for us. Despite Gyankunj running just since 7 months now, Gyankunj has brought tremendous success to its kids.with 10 out 40 students from such backgrounds scoring above 80% in class 9th. From 63% in class 8th to (after joining Gyankunj) 91% in class 9th, our talented children have yet again proved that all they need is right direction. Follow us on facebook:(https://www.facebook.com/DictionDock/) and Instagram. Thanks to all our well wishers and volunteers at Gyankunj. With a month and two days to spare, we spare this moment to congratulate each one for your recognition of our efforts towards improving the quality of life for the economically weaker sections of the community. We declare our target of 300k achieved. Thank you Milaap and all the supporters! Gyankunj launched its second academic year in a colourful way! 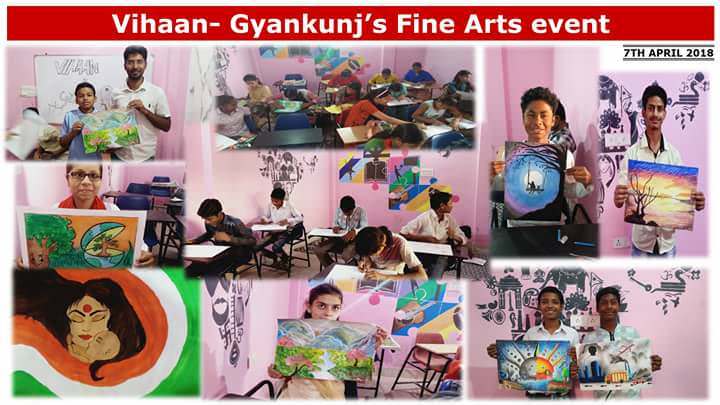 We hosted Vihaan- Gyankunj's annual fine arts competition on 7th April. These children made some brilliant masterpieces of arts on the occasion of World health day.